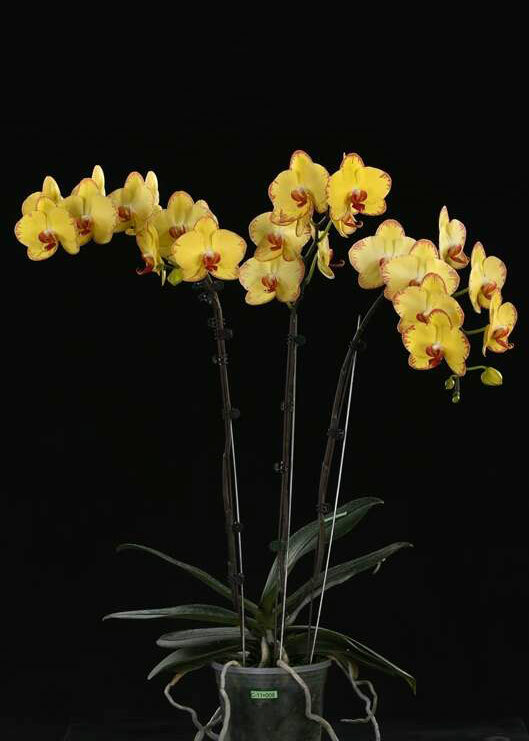 When this clone garnered its well-deserved FCC/AOS at the Taiwan International Orchid Show in 2014, it was showing off with 34 vividly marked flowers on two multi-branching gracefully arching inflorescences! 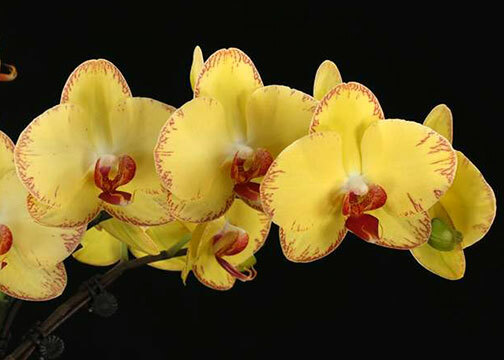 The judges were totally captivated with its superbly formed crystalline flowers in a new stunning color pattern of red feathering surrounding its bright yellow segments. 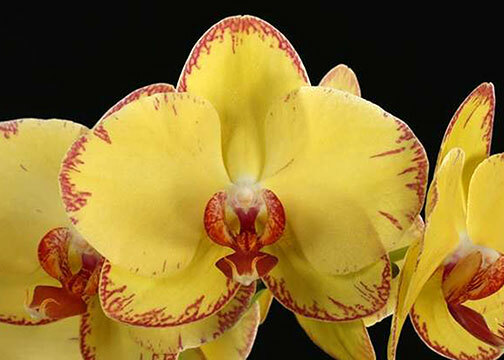 We’ve obtained these directly from OX orchids and have flowered every one to ensure its true picotee pattern. Highly Recommended !